Listening to the radio, watching television, attending a sporting event at the stadium or arena, and you hear that familiar voice on the speakers. Chances are your hearing the voice of our Mid-Day host (Weekdays, 10AM–2:00PM) Brian Anthony. 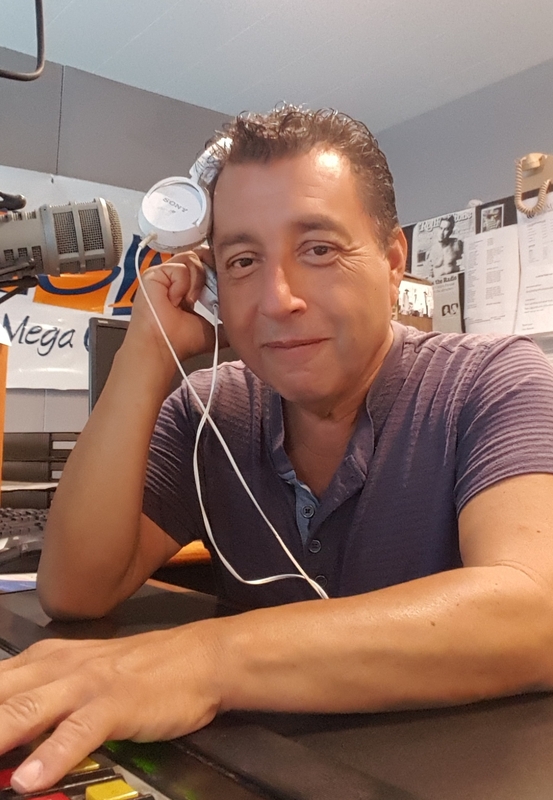 Also known as “B”, Brian Anthony was born and raised in Tulare County and has been the Mid-Day host of Mega 97.9 since 1998. He has also voiced many popular Radio and Television advertisements in the San Joaquin Valley. Brian became the Public Address Announcer of the Fresno Falcons Hockey Team in 1991, and the Fresno Grizzlies in 1998. Since then, “B” has become a major voice in arenas and stadiums with his popular baritone sound. Currently the voice of Fresno State University Football “Third Down Thunder”, Fresno States Women’s Volleyball team, Fresno Pacific University major Men’s and Women’s sports, and the voice of the Visalia Rawhide Professional Baseball team.